Teaching urban youth to become men in partnership with law enforcement through the principles of Leadership, Character, Integrity, Service, and Responsibility. 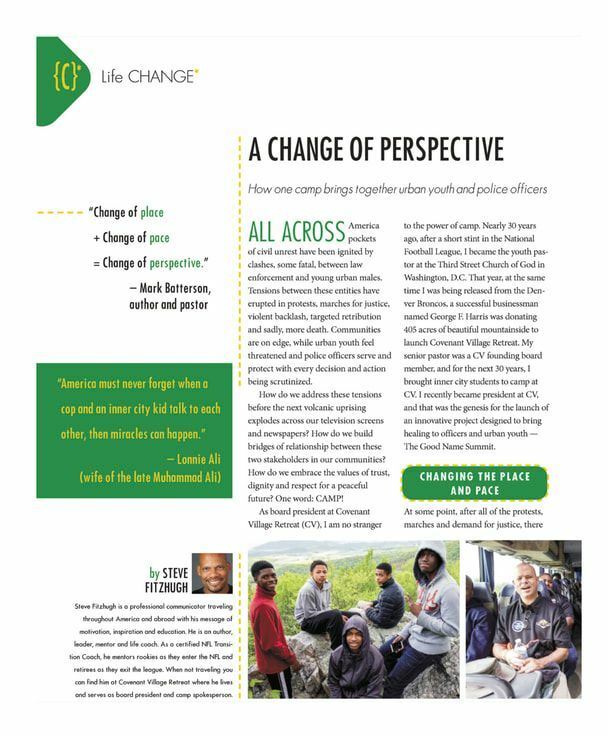 Youth from NFL cities partner with police officers ond coacher together to address community change - away from their city environment - to learn from one another in the mountains of Pennsylvania. The weekend is a four year cycle of commitment (9-12 grades) to embrace these values. Lives will be impacted. Relationships will be built. Trust will be learned. Solutions for long-term community health is now set in motion! The Miamian is the alumni magazine of the Miami of Ohio University. 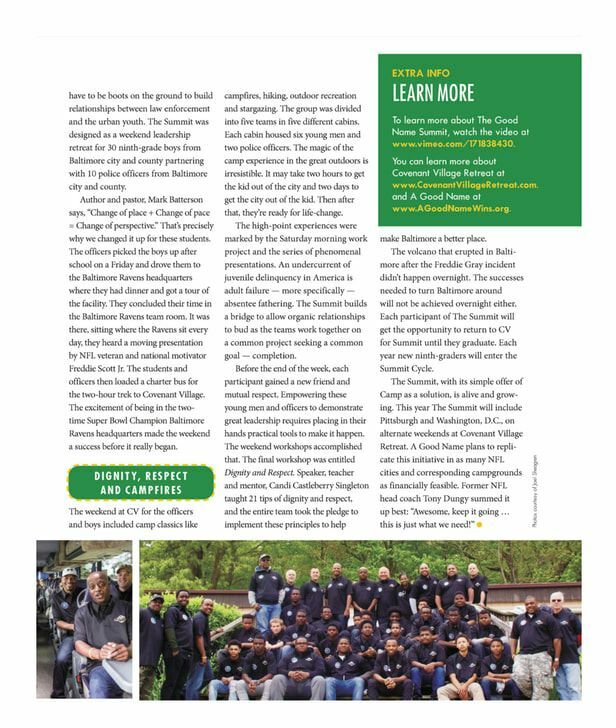 InSite, a national magazine for Camps and Conferences published the article below. The National Football League courtesy of Ryan Mink and the Baltimore Ravens, posted the article from year one on the NFL Player Engagement Website. Coming to an NFL city near You!